All El Metro buses are equipped with bicycle racks capable of carrying up to three bikes at the time. 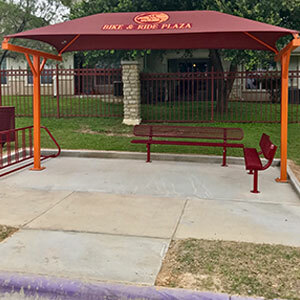 The Bike & Ride Plazas are bus stops strategically located along most bus routes allowing transit riders to safely secure their bikes. 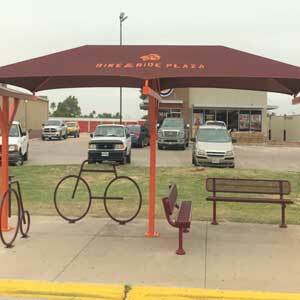 Bikes, like buses are environmental friendly modes of transportation that help preserve our city’s air quality by reducing emissions, relieve traffic congestions, and move people efficiently. 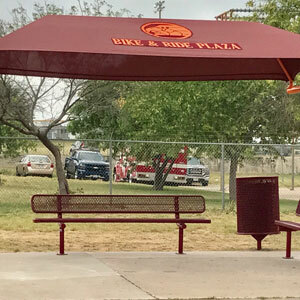 The Bike and Ride Plazas is an initiative drafted by Transit staff to easy the first mile – walking distance to the bus stop. 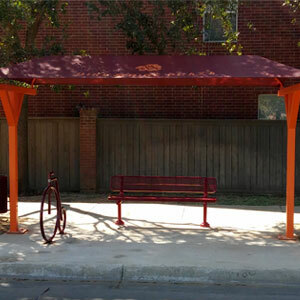 Residents of neighborhoods can now bike to the bus stop and board the bus with the peace of mind of leaving their bike safely secured at the bus stop. 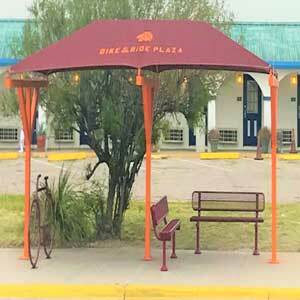 For the safety of the bikes, the Bike and Ride Plazas are strategically located in well lilted areas. 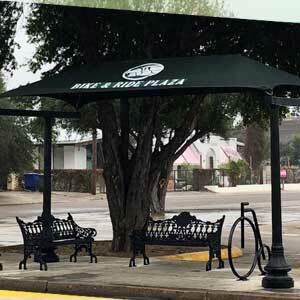 City of Laredo Districts 1 & 2 are the pioneers of the Bike & Ride initiative with Council Members Vidal Rodriguez and Rudy Gonzalez providing discretionary funds to construct the first set of such facilities.& Ride Plazas followed by Districts 7, 4 and most recently District 5. Bus Operators are not allowed to assist you but it is important to alert them that you will be loading/unloading your bike. El Metro is not responsible for any damage to the bicycles. If the rack is full when it arrives at your destination, please wait for the next bus.